If you’ve read our long-form piece on the 2018 iPad Pro, you’ll get a pretty good idea of exactly how powerful it is. With an 8-core GPU that’s designed to perform as well as the latest XBox, a 7-core CPU that’s capable of intense heavy-lifting, FaceID, battery that lasts all day, a touchscreen with a stylus, and even a Type-C USB port that lets you hook the iPad to practically anything, the iPad Pro is just as good as a MacBook Pro, if not better. In fact, probably the only visible difference between the two is the difference in OS… and the fact that the MacBook Pro packs a keyboard. Or rather, ‘packed’ a keyboard. 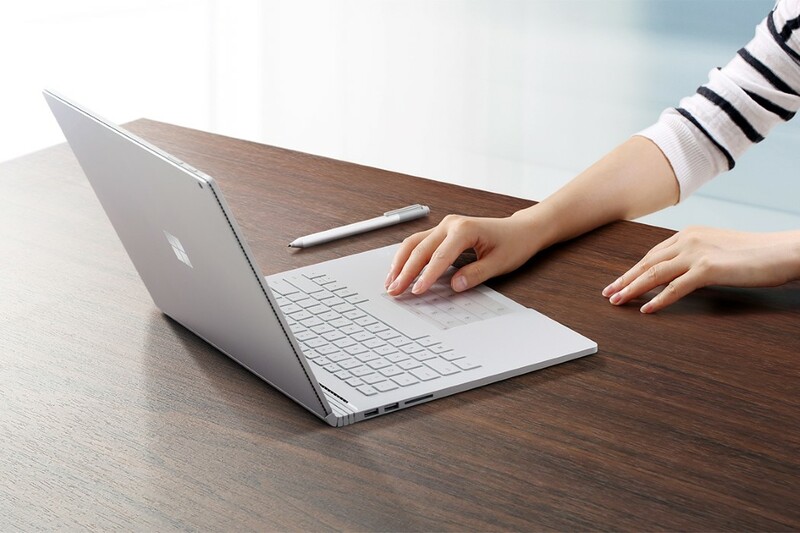 Designed to turn your tablet into a reliable, powerful, laptop-esque device, Brydge’s keyboard for the iPad Pro fixes onto the device at the corners, and swivels open and closed just like a laptop’s hinge would, with the ability to adjust at any angle. Dock the 2018 iPad Pro in, and its bezel-less design practically makes it behave a laptop, along with Brydge’s keyboard. 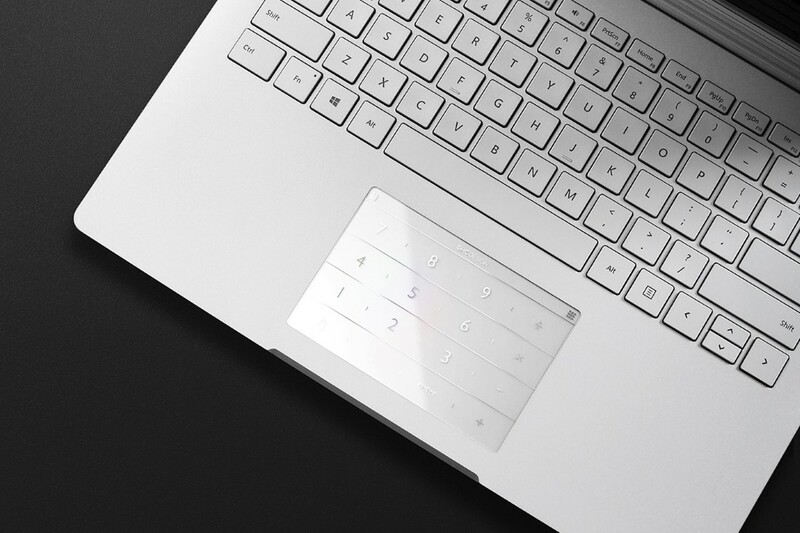 The people at Brydge have done some exceptional work creating a keyboard that truly looks and feels like a laptop, rather than a flimsy tablet-accessory. 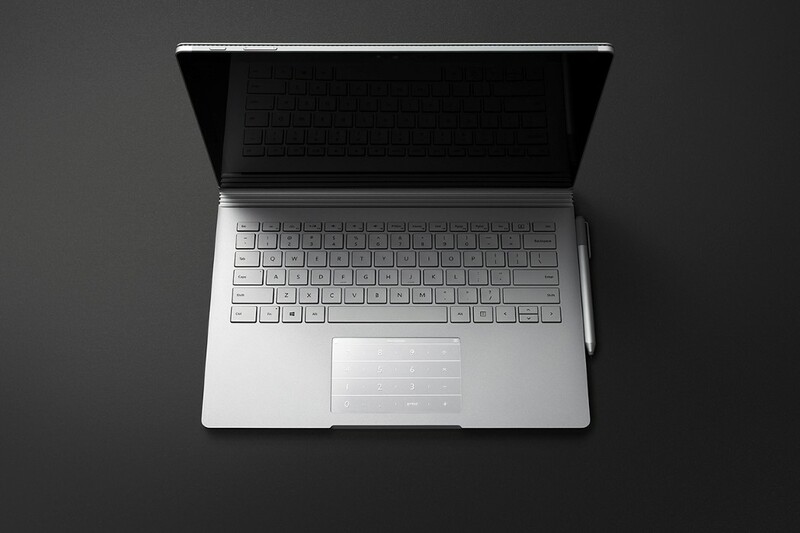 The keyboard body comes milled from aerospace-grade aluminum and even comes in silver and space gray that match Apple’s hues. 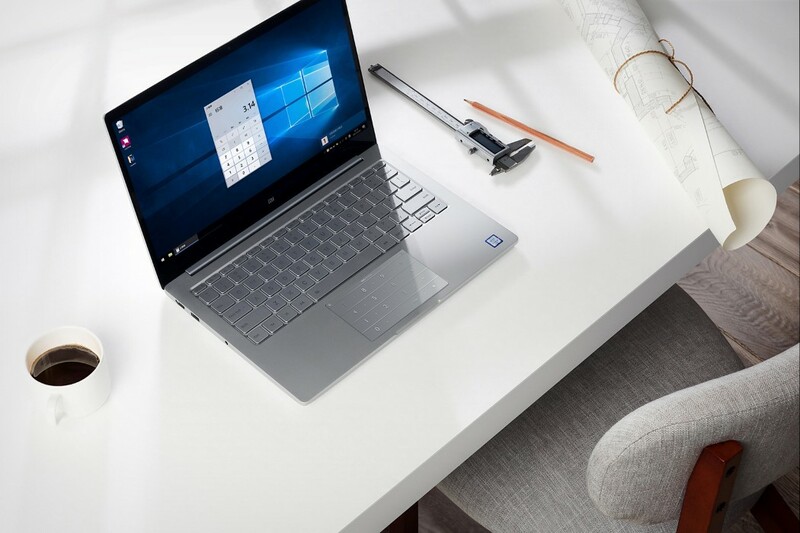 It features a beautifully functional (and complete) backlit keyboard with three levels of backlight intensity, and also packs a great deal of key-travel that is sure to feel MUCH better than the MacBook’s horrible butterfly keys. 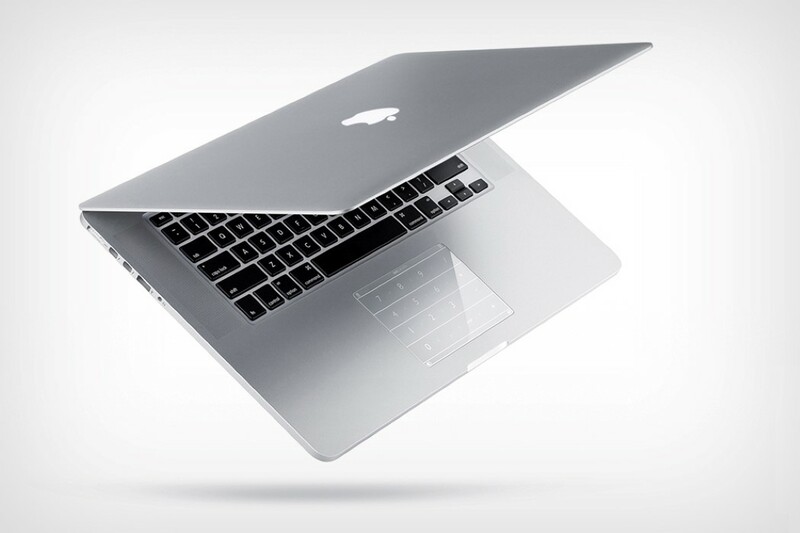 The keyboard even replicates the MacBook’s aesthetic with the signature cutout at the lip… and perhaps the best feature of all, it comes with an entire year’s battery life. Sadly, there’s no trackpad on this one, but you’ve literally got a touchscreen display, so that definitely shouldn’t be a problem. Designed to transform the iPad into a true hybrid, the Brydge sees the iPad Pro for what it is… a tablet that is capable of being an incredibly useful laptop, but is just one step short. 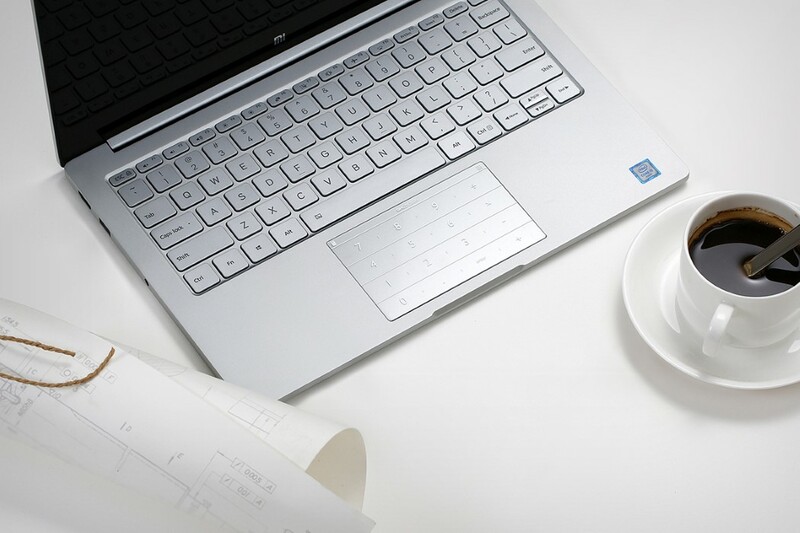 Brydge’s keyboards help complete that step, giving you the ability to own a tablet that is perfectly capable of being your work machine… and is also a couple of hundred dollars cheaper than Apple’s laptops! Plus, with Brydge’s lifetime warranty, what more could one possibly need?! 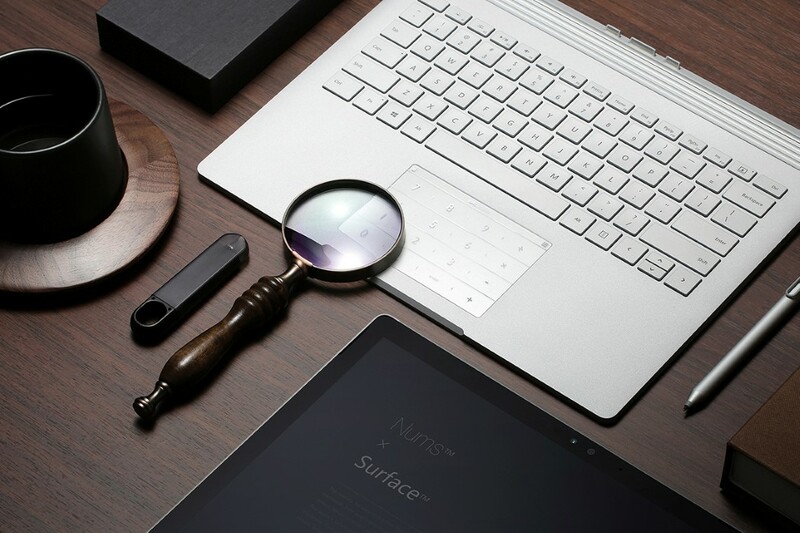 The Fillit Pocket adds a tiny bit of extra functionality to your state-of-the-art laptop. It gives it a backpack of sorts to carry things like pens, pen-drives, power banks, or even hard disks. The Fillit pocket sticks to your laptop’s lid using repositionable glue (which means it can also be easily removed) and gives it a 7 x 3.5 inch pocket to store pretty much anything you want. A mouse, a stylus, a pair of airpods, anything you may need to carry around separately. The Fillit Pocket helps bring convenience to your life if you’re the laptop-using kind. It gives your items a dedicated space, turns an empty patch of estate on your laptop’s lid into a useful pocket, and even allows you to have all your items attached to your work-machine all the time, even on the go! NUMS is an absolutely stunning product (and a winner of the coveted Red Dot Award), purely for its simplicity and effectiveness. It recognizes a problem, and solves it in the most ingenious way possible, without extra moving parts, and without a learning curve. 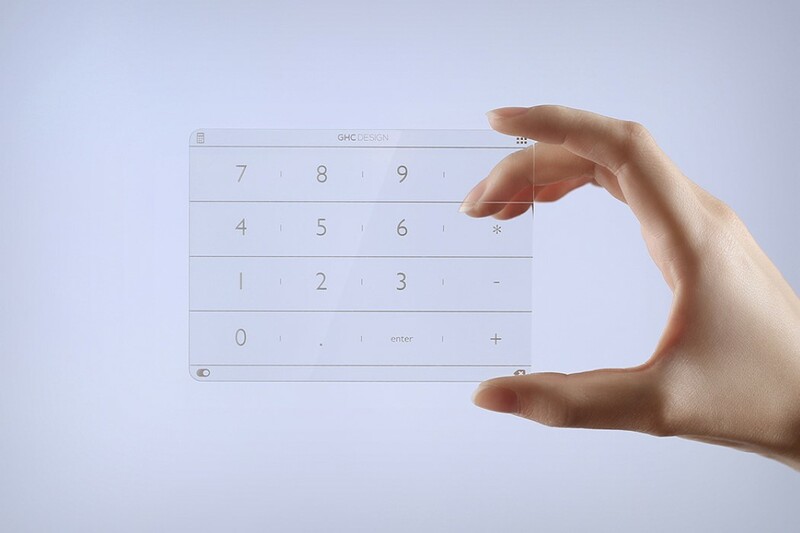 A simple transparent piece of plastic with adhesive at one end and no circuitry whatsoever, the NUMS just sits on your laptop, giving you the magic of a numpad (and much more) on your portable computing device. In order for laptops to stay portable, they sacrifice the expendable elements like the Numpad. Given that the numbers already exist above the qwerty layout, a numpad to the right is expendable, and laptops either use that real estate to add speaker grills, or shave off the numpad to create thin 13″ laptops. 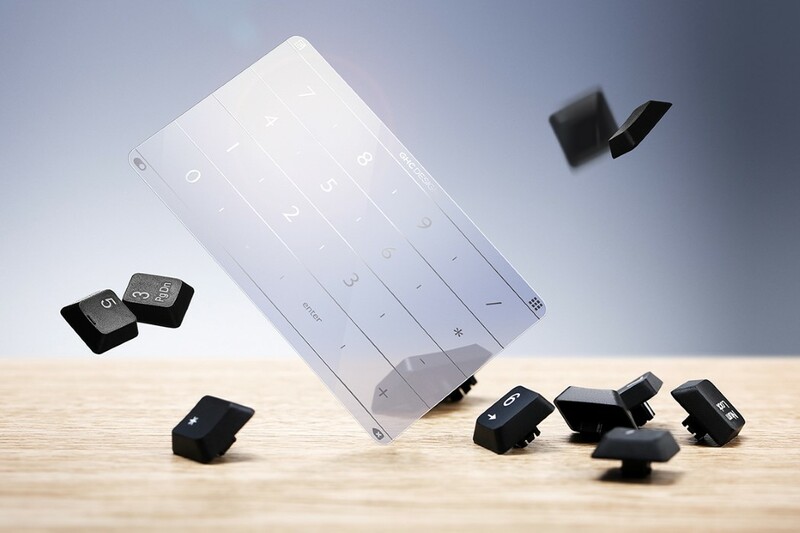 The NUMS brings that expendable element back for everyone who craves having those buttons at their fingertips (from gamers to coders to accountants). In principle, the NUMS is simple. A sticker sits on the laptop trackpad, quite like a phone’s screen guard. 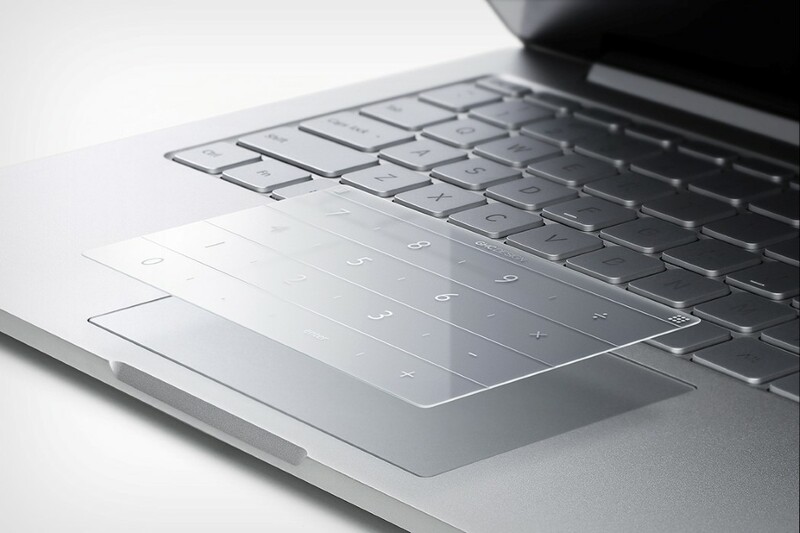 It doesn’t interfere with the trackpad’s functioning (in fact, it gives the pad a smooth, finger-loving texture), however, it augments the trackpad’s abilities. Printed on the sticker is a complete numpad, along with a few other buttons. Install the NUMS driver and the NUMS sticker converts your trackpad into a functioning numpad. Swipe down diagonally from the top right corner to toggle between trackpad mode and numpad mode. When in the numpad mode, the printed numbers on the NUMS sticker denote keys, and you trigger keystrokes by touching them (you’ve even got audio feedback for a wonderfully complete UX). 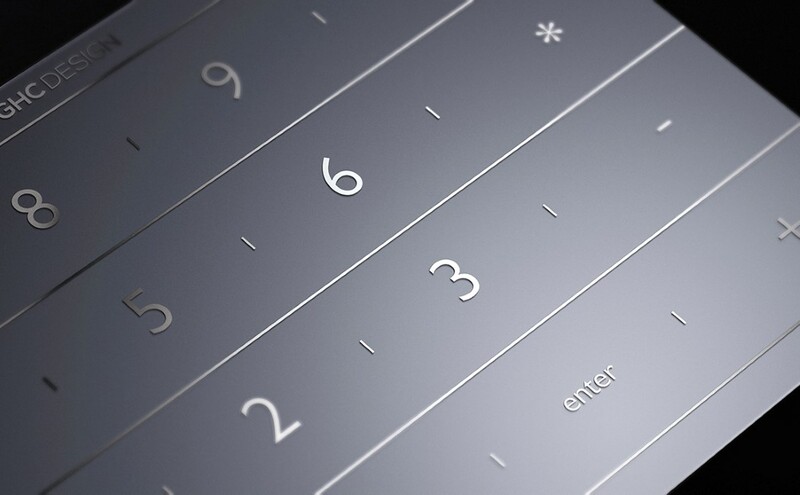 You could use the numpad to work in accounting softwares or even in games. 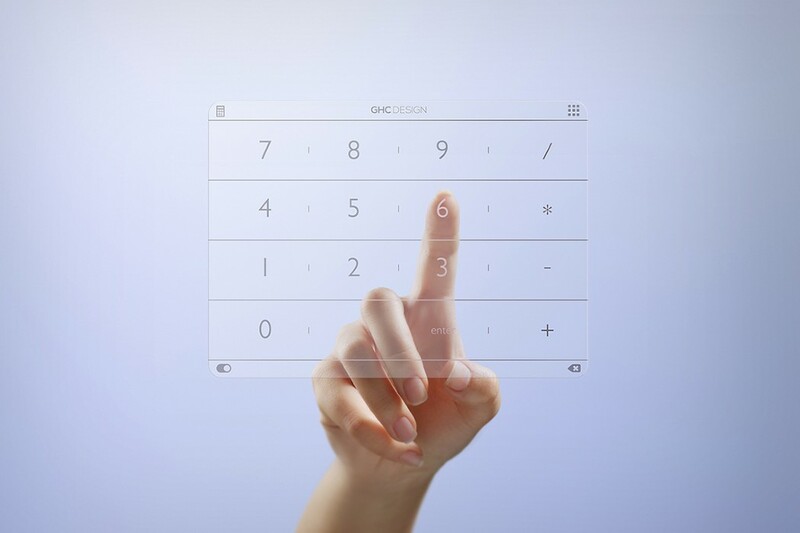 Swiping down diagonally from the top left triggers the calculator, allowing you to crunch numbers in an instant without taking those five annoying steps to boot the calculator app. The NUMS even has its own hotkey setting mode, allowing you to create shortcuts of your own, so your trackpad instantly goes from the least used feature (real people use mice, alright?) to perhaps the most feature-rich part of your laptop. Who thought a small plastic sticker and a powerful idea could accomplish so much?! The NUMS is a winner of the Red Dot Best Of Best Award.